Belinda Lowe is one of the Indigenous Rights Campaigners here at Amnesty Australia. Find out what makes her tick and some of her tips for the CIE Blitz. 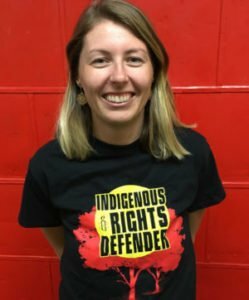 Hi, I’m Belinda Lowe the new Indigenous Rights Campaign Coordinator. You might have seen me around the traps. I’ve been Activism Coordinator at Amnesty for the last three and a half years working on most of our campaigns, including Community is Everything when it launched in 2014-2015. I grew up in a small country town in Wiradjuri country in regional NSW. One of my earliest memories is sitting in my Year Four classroom watching a 10-year-old Aboriginal boy being carried out of the school by four police officers, each dragging him by an arm or a leg. This wasn’t a one off. The way Aboriginal kids were treated at my school by some police officers and some teachers was horrifying. Imagine instead, if that boy had access to an amazing program led by community like BushMob in Alice Springs. He would have had the opportunity to be nurtured and supported in his community, instead of being pushed into the quicksand that is our ‘justice’ system. I’m very excited to be part of the Community is Everything campaign in a different capacity. There are some exciting things ahead and I know we can make big waves if we keep doing what we’re doing and working together. 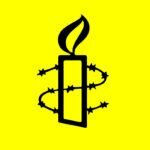 How did you get involved with human rights campaigning? It was in 2003 after John Howard announced that Australia would support the US in the war in Iraq. My school friend and I went to our very first protest in Terrigal NSW at the Skillion with about 20 other people. After that I started to learn more about crimes committed in Iraq and Afghanistan throughout the war, and began my journey into human rights campaigning, I haven’t looked back since. What would you like to see happen with the Community is Everything campaign? I would like to see a world where every child in Australia is nurtured in their community, and where Indigenous leaders, who are working tirelessly to support kids with solutions they know will work, are supported by government. For this to happen we need to see Prime Minister Turnbull take national leadership to prioritise the futures of Indigenous kids and sign up to our 8 point plan. What/who do you find inspiring? The resiliency and strength of the Indigenous community in Australia is incredibly inspiring. Everyday, Aboriginal and Torres Strait Islander people all over Australia campaign and fight for better outcomes for their kids and basic human rights. Clinton Pryor’s Walk for Justice is a really recent example of this incredible strength. He walked 6,000km for a year from Perth to Canberra. Throughout that time he met with Indigenous people from all across the country, listened to their stories and took a list of demands to Canberra. I’d encourage you to learn more about his journey if you haven’t already been following it. Do you have any tips for local groups or activists working on the campaign? If you haven’t already had a go at lobbying your MP, give it a try. It can seem intimidating at first, but once you’re there you quickly realise they are just another person. The communication action groups have had directly with politicians is having such amazing impact for the campaign, and was the reason Amnesty got a meeting with Prime Minister Turnbull last year. You can find all the materials you need on our skill up page. I think cats are pretty great. I have two, Coconut who likes to go through my handbag every night and Mr Darcy, a cat in possession of a great fortune who is in want of a wife. But a lot of people already know this about me! What can people do to help the campaign? Visit our CIE blitz resource page where you can download resources and check out our new puzzle piece petition. We are aiming to collect more than 7000 pieces by mid-November so make sure to get involved today!